One of the great spots to shoot in Death Valley is from Dante's View. Many visitors head to it for the panorama view that they get of the southern valley basin (known as Badwater Basin). The basin is the lowest point in North America at 283 feet below sea level. In contrast, Dante's View is from 5,476 feet above sea level, illustrating why people visit it so much. While waiting for sunrise, I took a look in the opposite direction from the basin and saw this scene. The sun had begun to light up the sky, casting beautiful oranges and yellows. 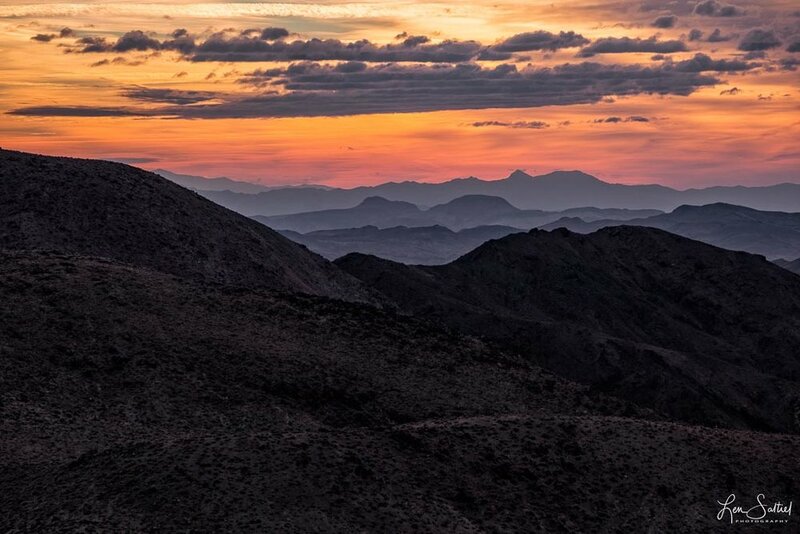 It also silhouetted the clouds and the mountain peaks to the east of the Greenwater Mountain Range, located in the Mojave Desert. It was quite inspiring to see, and hopefully I captured some of its beauty.